An Internet pioneer, Paul Baran invented packet switching techniques that can be credited with playing a key role in the development of the Internet. Born in Poland, Paul immigrated to the US, where he graduated from Drexel University in 1949 with a degree in electrical engineering. He would later get his Masters in engineering at UCLA while working for Hughes Aircraft. He joined the RAND Corporation, where he worked on developing a communications system that could survive the damage of a nuclear weapon. Originally, he called the process “message blocks.” Other scientists including Donald Davies, who would later change the name to “packet switching,” had also come to a similar conclusion at the same time. 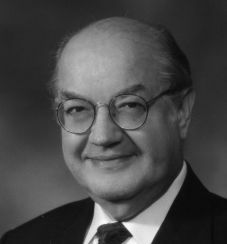 Baran received many accolades in his life including the IEEE Alexander Graham Bell Medal, National Medal of Technology and Innovation, and the National Inventors Hall of Fame. He was the founder of the Institute for the Future and got involved in other networking technologies including wireless spectrum. He is also credited with inventing the first metal detector. Baran died at the age of 84 on March 26, 2011.